Closet organization is usually one of the biggest problems in homes. We lead busy lives and we wind up just doing as little organizing as possible in our own private space because no one sees it. But chaos creates chaos, and when we live amongst clutter, our brains get cluttered. Keeping your storage space, pantries, and closets clutter-free at home will help you to lead a more organized day to day life. 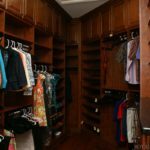 When remodeling a closet, you need to consider a few things before you start the design process. Decide on your main goal, your needs, and especially, decide what the problem is with your current closet design. 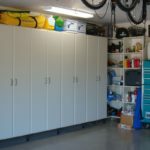 Is space an issue, or is it just basic organization? Consider who will be using the space, and who will use it in the future. If it is a child’s closet, you will want to make it adaptable for when the child is older. If it is for someone who lives alone, consider the future when there may be someone sharing that space. There are modern convenience features that can be added to a custom closet design for organization. 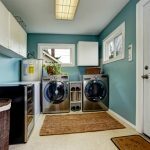 You can have a shoe rack installed, a built-in (and hidden) ironing board and laundry basket, or a retractable rack for ties, belts and scarves. You can store your belongings on hooks, rods, shelves, and in drawers, or cabinets. There are endless combinations of pieces that will make your closet beautiful and organized. When designing it, start out with a base piece, which extends from floor to ceiling. This can contain shelving on top and drawers on the bottom, or be a complete set of drawers and cabinets. Off of this main piece, add some racks that will contain rods for hanging clothes. These should be adjustable so that you can re-organize at any time. Add some additional drawers and cabinets so that all items in the bedroom can be organized and hidden, minimizing clutter and extra furniture. Bedrooms should be a place of relaxation and should remain clutter-free. Try to assign a certain place for your items that you put away and take with you every day, such as keys, a wallet, or everyday jewelry that you don’t wear around the house. 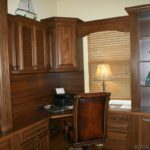 When putting these custom pieces together, make sure that you have a place to accommodate everything, and that it will be convenient to remove and replace easily. Closet remodeling is a great way to organize any place in your home. You can remodel and organize adult and kids’ bedroom closets, but another great place to do some organizing with custom closets is your family room, organizing games and toys. A hall closet or linen closet can get cluttered also, so putting in custom shelving and drawers in those spaces is a great way to organize. 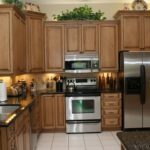 Kitchen pantries can easily get cluttered and messy, and can contain food items, cookbooks, and even unused appliances. Organization for your kitchen pantry is a must for when you’re busy in your day to day life. Organizing the closet spaces in your home is a great way to remove clutter not only from your home, but also from your mind and your life.